...leads the reader on a learning journey. 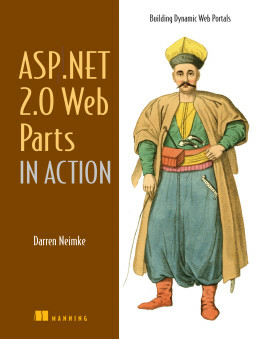 Darren Niemke, Microsoft MVP and Author, "ASP.NET 2.0 Web Parts in Action"
ASP.NET AJAX in Action is a fast-paced, example-rich tutorial designed for ASP.NET web developers and written by ASP.NET AJAX experts Alessandro “Garbin” Gallo, David Barkol, and Rama Krishna Vavilala. 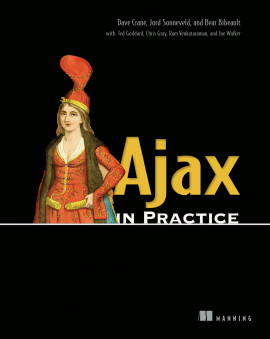 This book introduces you to Ajax applications and to the ASP.NET AJAX technology. Beginners will appreciate the clear explanations of key ideas and terminology. 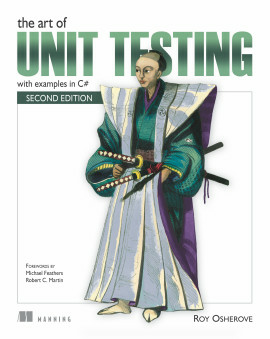 Intermediate and advanced ASP.NET developers will find a no-nonsense learning source and well-organized reference. 13.2. Helpers, help me help you! 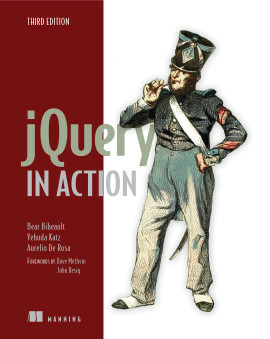 Ajax revolutionized how users interact with web pages. Gone are frustrating page refreshes, lost scroll positions, intermittent interactions, and flat, boring pages. Instead we have a new generation of fast, rich, and intuitive web applications. 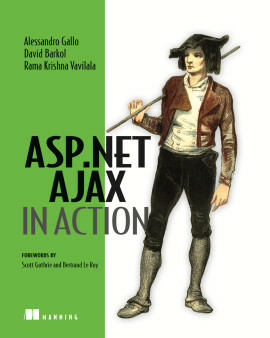 The ASP.NET AJAX framework puts the power of Ajax into the hands of Microsoft ASP.NET developers. 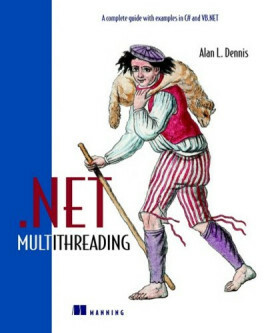 ASP.NET AJAX, formerly called Atlas, is a new free framework from Microsoft designed to easily add Ajax features to ASP.NET applications. With this technology, ASP.NET developers can easily build more interactive and highly-personalized web applications that work across all most popular browsers. ASP.NET AJAX in Action will give you with the knowledge and tools you need to more easily craft the next generation of Ajax applications. With the help of the Microsoft ASP.NET AJAX framework, Ajax development has never been easier and more instinctive for both client-script developers and ASP.NET developers alike. 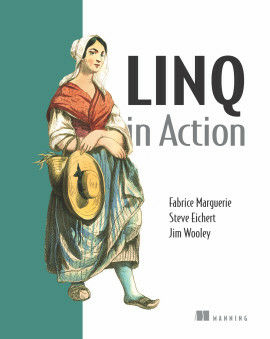 If you are a web developer looking to bring your web pages to life and to enhance the user experience, this book is for you. 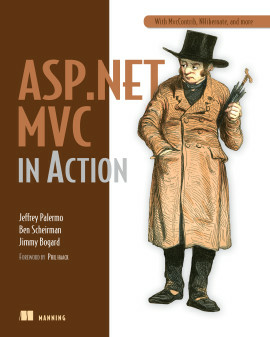 Alessandro “Garbin” Gallo is a Microsoft MVP in the Visual ASP/ASP.NET category and has been an active contributor for the Ajax Control Toolkit project. As a .NET developer/consultant with a primary focus on ASP.NET application design and development, Alessandro has been developing with ASP.NET AJAX since the very first CTP. 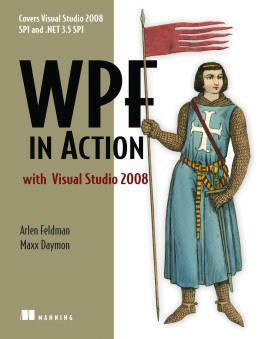 Notably, he won the Grand Prize at the Mash-it-up with ASP.NET AJAX contest held by Microsoft in 2006. David Barkol is a Principal Consultant for Neudesic, one of Microsoft's leading .NET professional services firms and a Gold Certified Partner. At Neudesic David specializes in providing custom .NET solutions that leverage technologies such as ASP.NET, Web Services, Windows Forms, SQL Server, and C#. 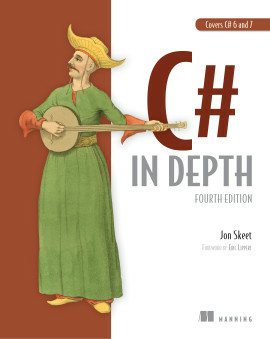 He is an MCSD in .NET and a member of the Microsoft ASP.NET Advisory Council. David resides in tropical La Palma, CA. Rama Krishna Vavilala is a senior software developer/architect at 3C Software, a leading supplier of Cost Management Solutions. He has designed and developed three different versions of Impact:ECS™ (3C Softwares product suite). 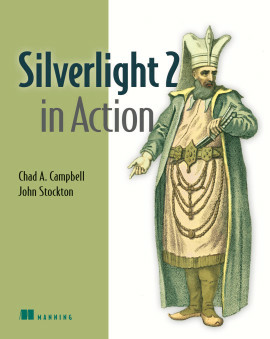 Currently, he is designing an Ajax-based web application using ASP.NET AJAX. This application will be a part of the Impact:ECS™ suite. 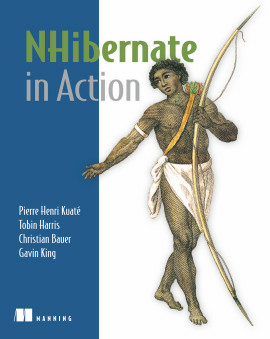 He is a regular contributor at The Code Project and has contributed around 20 articles on wide ranging subjects. I will put this on my table and remove others. I'm already planning on reusing the examples. Enough said! 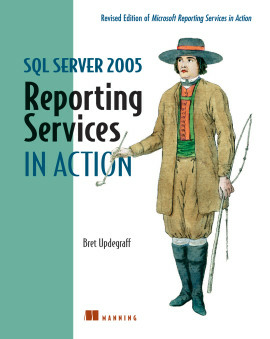 Critical to understanding the underlying architecture. This one is a sure bet.